A five-day golfing adventure through the Himalayas awaits, taking in some of Nepal’s most spectacular courses – as well as a bit of sightseeing along the way. 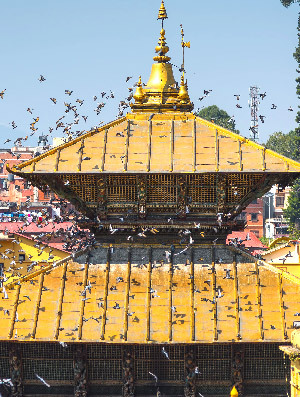 After landing in Kathmandu you spend the next day on the greens and visiting some of Kathmandu’s finest cultural spots including Pashupatinath Temple and Boudhanath, one of the largest Buddhist monuments in the country. 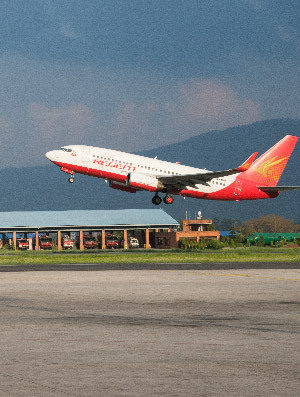 After Kathmandu the journey takes you to Pokhara via a short flight over the snow-capped mountains, with a full golf session booked at the stunning 'Himalayan Golf Course'. 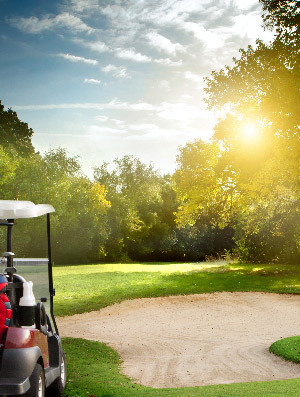 Fly back to Kathmandu for more golfing in the Himalayan foothills back at Gokarna Forest Resort. On arrival, you are met by your tour representative who’ll help out with visa formalities and show you to your resort just outside the city. There’s a quick debrief on the golfing schedule for the next few days, leaving you plenty of time to relax in the afternoon/evening. Overnight at hotel. 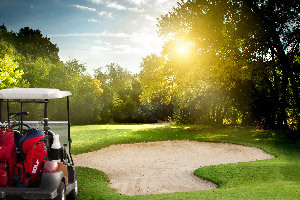 Spend a morning session on Gokarna’s very own course, designed by Gleneagles of Scotland and surrounded by the stunning snow-capped Himalayas. 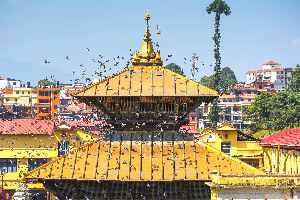 In the afternoon, take in some of the local sights including the incredible 1,600-year-old Pashupatinath Temple, as well as the equally impressive Boudhanath. This is Asia’s largest stupa and hums with life as pilgrims offer their prayers under the watchful eyes of the Buddha, which gaze out from the gilded central tower. Overnight at hotel. 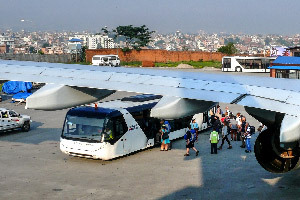 Depart the capital, heading to the airport after breakfast for an onwards flight to Pokhara. 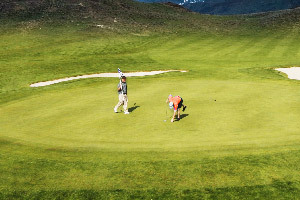 A session on the greens of ‘Himalayan Golf Course’ is scheduled for the afternoon, a spectacular course enclosed by towering canyon walls, gushing waterfalls and the sky-scraping peaks of the mountains in the distance. 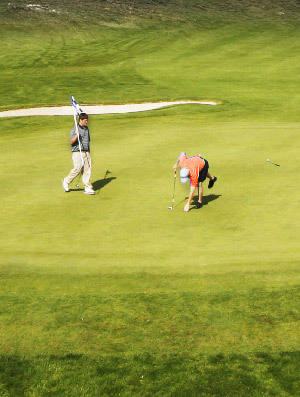 The course layout is challenging for all levels, and don’t forget to relax with a cool drink at the clubhouse afterwards, perched 80 feet above the course at the top of the valley. Head back to Pokhara in the evening for an overnight stay. Overnight at hotel. 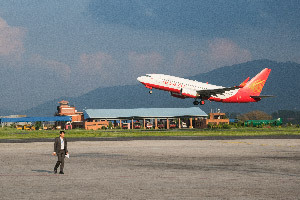 Leave Pokhara after breakfast, making your way to the airport to catch a flight back to Kathmandu. 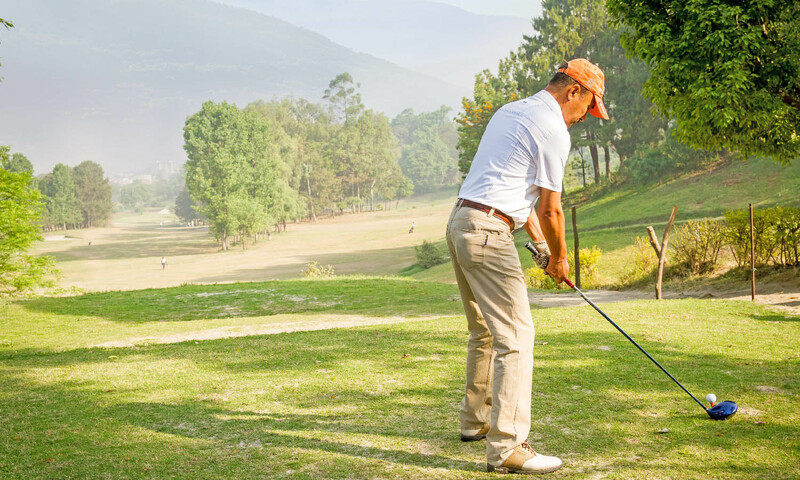 The rest of the day is all yours to enjoy one final session of golf in the foothills of the Himalayas at the breathtaking Gokarna Forest Resort. Tonight enjoy a farewell dinner at the beautifully restored Garden of Dreams. This is one of the city’s most beautiful enclaves and though just a convenient walk from Thamel, the serenity is remarkable. Return to your hotel after dinner. Overnight at hotel. Take a leisurely breakfast before checking out of the resort and heading onwards to the international airport with your representative. 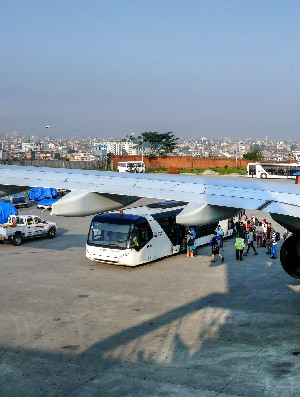 Bid goodbye to Nepal and catch a flight out of the country to your next destination of choice.